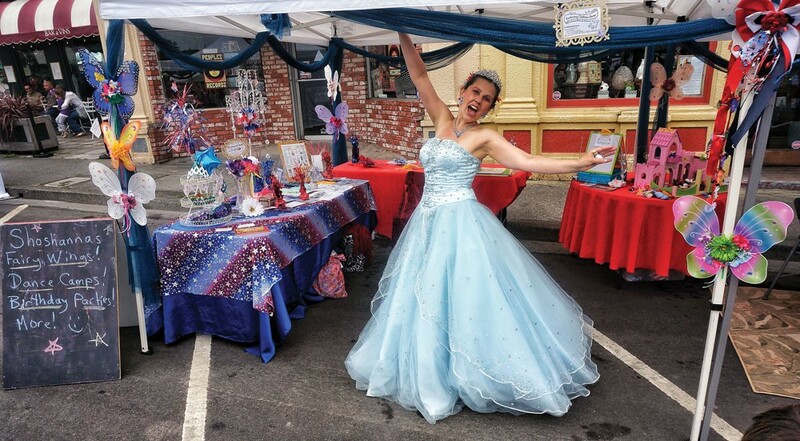 Shoshanna of Redwood Raks CASTS free pixie dust spells in her booth at the Arcata Chamber of Commerce's Fourth of July Jubilee celebration on the plaza. 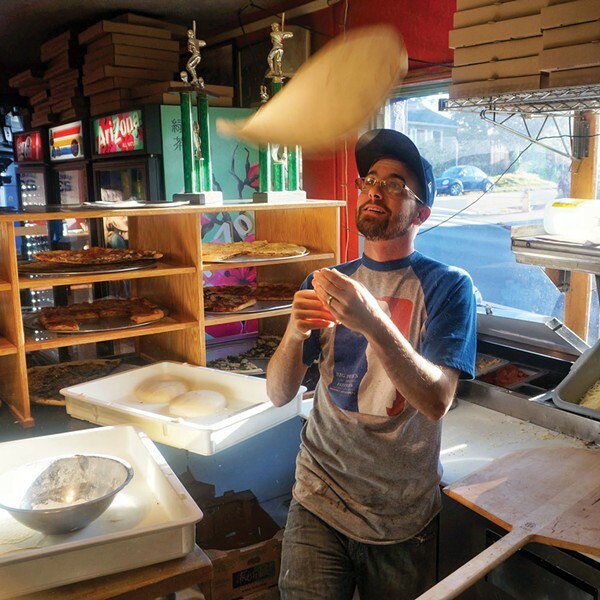 With Silver Hammer playing Beatles tunes on the roof of his Northtown pizzeria, Big Pete Ciotti keeps the dough flying at the ninth anniversary PARTY FOR his Arcata restaurant on July 2. 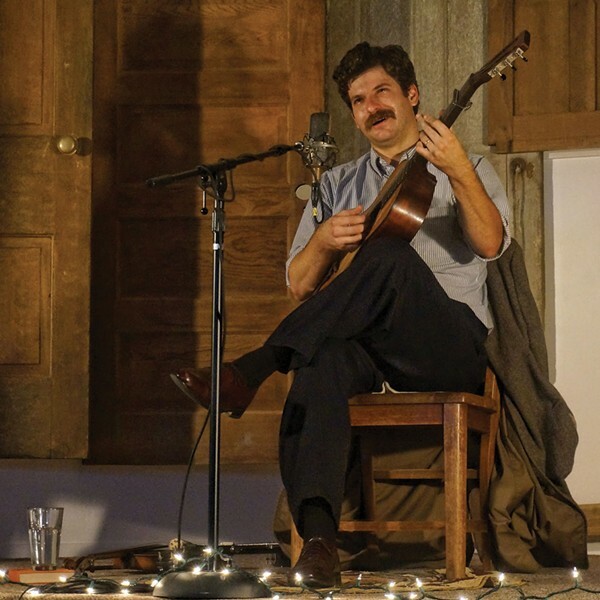 Old-time fiddler, banjo player and guitarist Frank Fairfield picks out a tune in a solo concert at The Sanctuary in Arcata on July 6.